Designed to engage and involve the younger REALTOR® member, this committee will work closely with the National Association of REALTORS® Young Professionals Network in delivering valuable and effective services to the members. Interested in being involved in the CYPN Committee to help guide the direction of the Young Professionals Network Across Colorado? If you’re an association executive considering the establishment of a YPN, check out the Start-Up Kit. 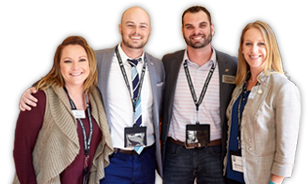 • To encourage, promote and inspire the new generation of Colorado REALTORS® through education, political advocacy and networking while providing a gateway for leadership at the local, state and national level. • To educate, engage and empower young professionals for future success in the Colorado real estate market. Each May/June, REALTOR® Magazine features 30 rising young stars in the real estate industry. In determining who makes the 30 Under 30 list, REALTOR® Magazine staff looks for candidates who are successful in the real estate business and have demonstrated skill, success, creativity, and leadership in their careers. You can find out more information about 30 Under 30 here.